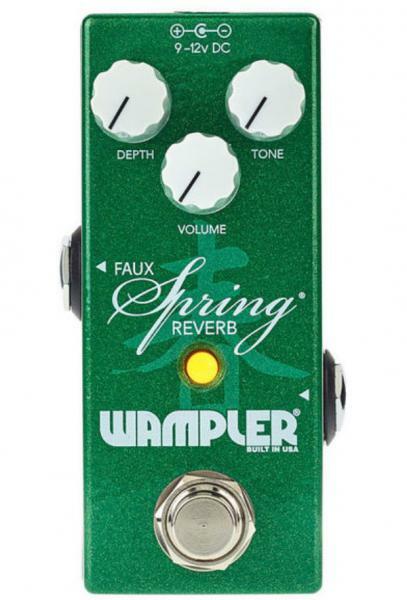 The WAMPLER Mini Faux Spring Reverb effect pedal is a smaller/upgraded version of the Faux Spring Reverb which has been a staple on many players boards for many years now. When it was discontinued a few years ago Brian received numerous requests to bring it back since then. Not being one to be content with just reissuing something, Brian decided to take all of the feedback from players he had received and give it a but if an upgrade. 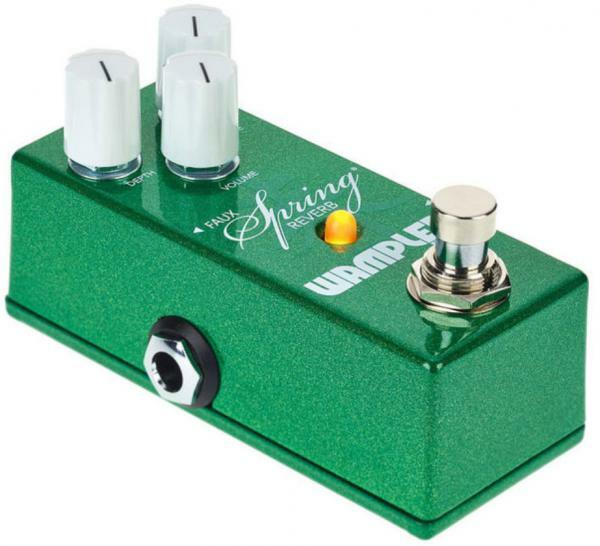 The result was the birth of the Mini Faux Spring Reverb. Following the idea of “If it’s not broke, don’t fix it,” he just added more of what players love. 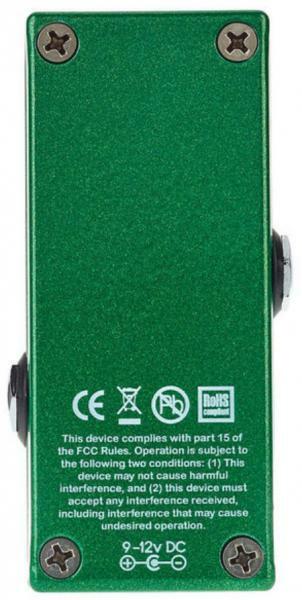 More decay, more drippiness and more of that bouncy spring tone players love in the bigger Reverb tanks. Despite sounding bigger and fuller, he decided to condense it down into a mini enclosure to fit perfectly at the end if any chain to grab and go. 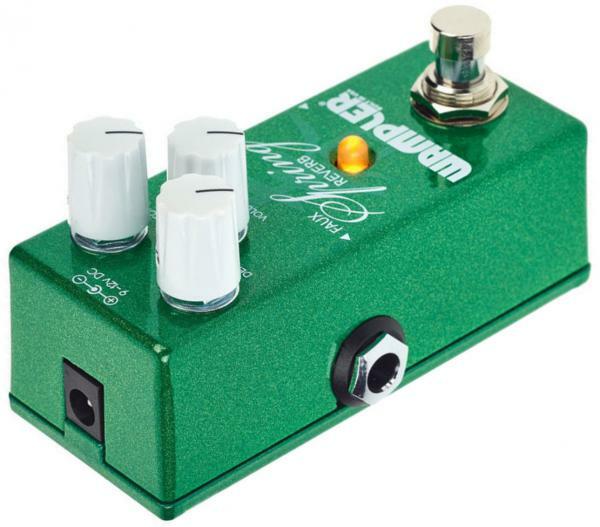 When the moment calls for the sound of spring reverb, you’ll be glad you have this little guy. 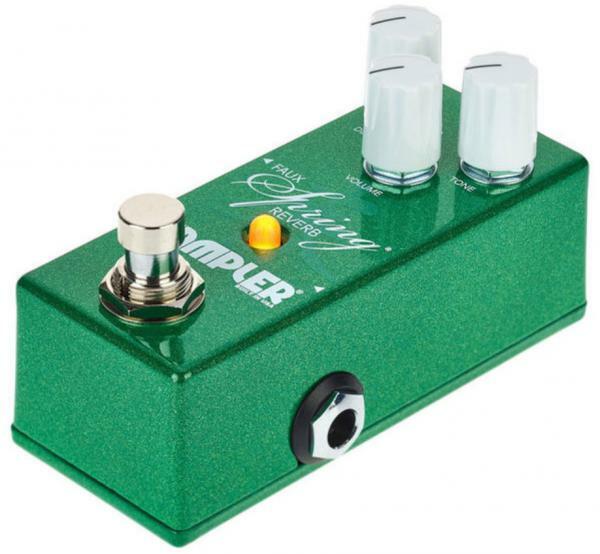 With an extended decay time, the Mini Faux Spring Reverb pedal serves up authentic tones that drip with boing just like a great spring tank. 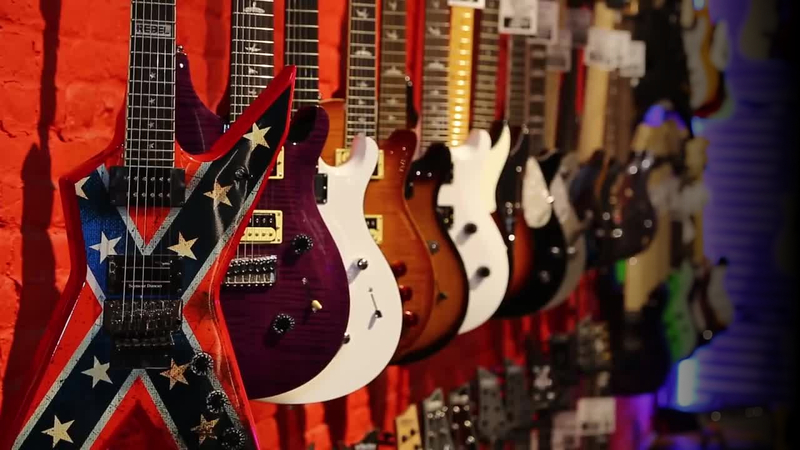 And thanks to an easy-to-navigate control layout, you’ll have your perfect tone pulled up in no time.